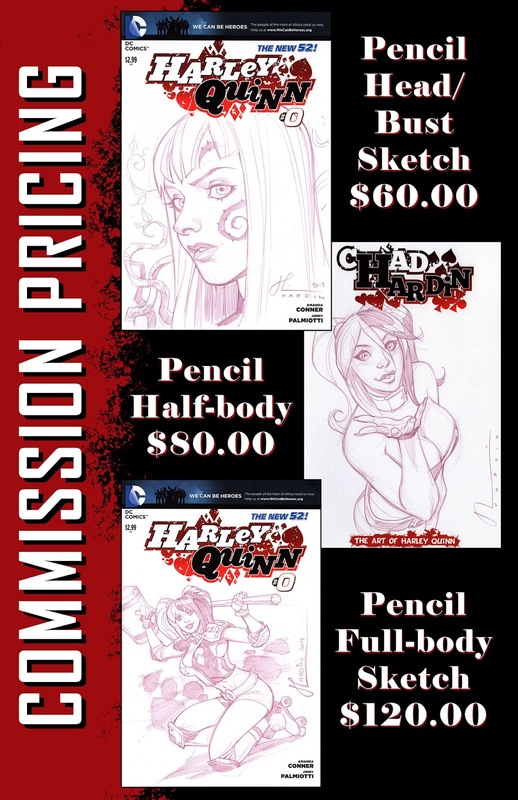 Okay I am open to a limited amount of commissions. 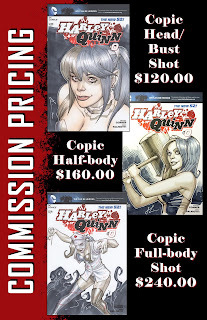 Contact Scott thought the Catskill Comics link http://www.catskillcomics.com/Hardin.htm to get on the list. Otherwise save your money for the shows I'm going to this year. Prices might fluctuate if it is a foreign show. 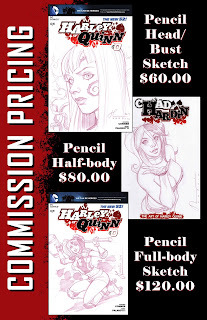 I do not take pre-show commissions, just show up early and get on the list (or send a friend).